The following is a press release issued by Focal. Alberta, CANADA | June 21, 2017 — Focal®, a leading French speaker and headphone manufacturer, today unveils the company’s newest line of mobile headphones - Premium closed-back wireless over-ear Listen Wireless®, In-ear Spark and Spark Wireless®, and Hi-fi in-ear Sphear S®. Listen Wireless is the wireless version of Focal’s high-end closed-back Listen headphones, and the flagship product of its new range of headphones for the mainstream market. Equipped with Bluetooth® wireless technology, these headphones offer an exceptional product of French craftsmanship with a sophisticated design and, as always, the quality of Focal Sound. Listen launched to great success last year and was developed from day one with the intention of developing a second, wireless version. In addition to providing great sound, the size of the ear-pieces was specifically designed to integrate Bluetooth® technology. To be able to offer good musical quality even through wireless products, Focal wanted the technology to be of sufficient quality not just something associated with compressed music. As a result, Listen Wireless is equipped with Bluetooth® wireless technology version 4.1, and compatible with aptX. The technology has now reached a level where it is nearly as good as CD quality. After becoming a reference manufacturer for high-end headphones, Focal now uses its expertise to enter the arena of portable wireless headphones. Listen Wireless guarantees excellent sound rendering. Whatever technology is used and whatever the intended use is, audio quality is always a key value for Focal. Sacrificing sound is not an option. In addition to audio quality, Listen Wireless has all the attributes people expect to find in headphones: comfort and style. The ultra-flexible headband makes them light, reduces pressure on the head and increases durability. The memory foam ear cushions made from fabric and leatherette provide excellent isolation, a key feature of Listen Wireless. 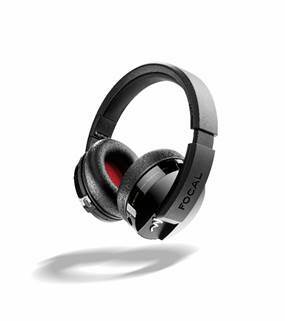 Focal kept the design of the folding ear-pieces, which makes them easy to use and carry around. Listen Wireless has a scratch-resistant lacquered Black High Gloss finish. Original Listen on the other hand, has a hand-brushed finish. Designed for all sorts of set-ups, these wireless headphones can also be used with a traditional audio cable. When connected to a DAC, they will deliver all the power and scale worthy of a high-end hi-fi product. Listen Wireless has all the advantages of real mobility. These headphones offer 20 hours of listening time, and have a charging time of less than three hours. The automatic standby feature gives it a total range of 240 hours. 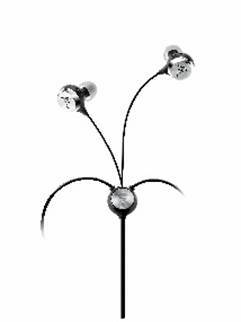 It has a reception range of up to 60 feet (15 meters), giving you complete freedom of movement around the source. Listen Wireless is equipped with a dual omnidirectional microphone system running Clear Voice Capture software for improved voice clarity while talking, even in noisy environments. It also uses the NFC technology available on some smartphones equipped with an NFC module for an easy and quick connection. The controls are located on the ear-pieces, making them even more ergonomic. They have been strategically positioned to enable users to control the functions effortlessly, quickly and easily. The three buttons are grouped into three areas: the on/off and Bluetooth® buttons in one area; music and call controls in another; and volume controls. The controls are simple and intuitive, controlled by short or long presses. Voice notifications and different LED colors indicate the status of the headphones, the battery level, pairing, etc. Up to eight different devices can be stored in the memory of Listen Wireless and two devices can be connected simultaneously. This means users can listen to music from a tablet and answer a call from a smartphone at the same time. Listen Wireless is supplied with a USB cable and an audio cable for wired use, or for when Bluetooth® connectivity isn’t possible. A soft carry case allows users to transport the headphones around in complete safety. Listen Wireless will be available mid to late July in Black high gloss finish from retail and online partners for $299.00 USD / $399.00 CAD. The price for the wired Listen will drop from $299 to $249 USD and from $399 to $299 CAD beginning June 21. For more information and a list of dealers, please visit www.focal.com/headphones. 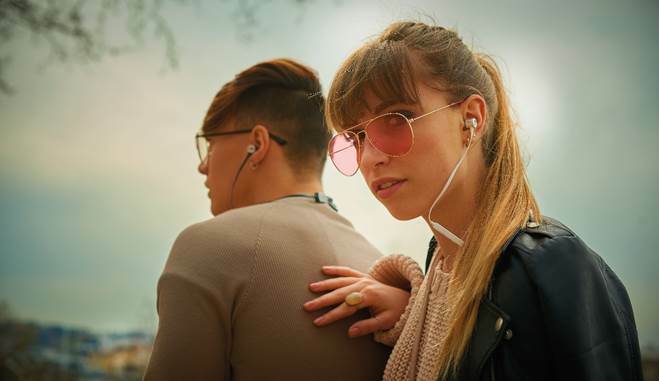 As a follow up to the successful Sphear in-ear headphones, Focal created the new Spark line to provide the mobile and connected consumer access to the exceptional Focal sound and performance at an affordable price. Spark has a dynamic and wide frequency response with a 9.5mm Mylar driver to make quality sound accessible at an affordable price. Spark opens the door to fans of dematerialized music who want to enjoy their favorite songs differently and to experience a more authentic sound, leaving no room for monotony. Spark offers the perfect sound for music from all music platforms in the modern age of streaming and downloading. Designed in France, Spark delivers Focal’s quality sound in a stylish, lightweight and comfortable in-ear headphone. The body of the aluminum headphones and the three-button remote control with omnidirectional microphone give it an elegant look. The silicone earplugs, the soft touch, flat anti-tangle cable and the rigid carrying case make it easily accessible and practical to use. Spark’s shape and weight, only 0.03 lbs., offer comfort for long listening sessions. Spark Wireless is the first Bluetooth® headset designed by Focal. Completing the Spark series, Spark Wireless is a high-quality ultra-nomad headphone providing music enthusiasts with comfort, quality listening and total freedom of movement. Focal has the in-ear solution for the mobile and connected audience to listen at any moment with complete freedom. Spark and Spark Wireless are now available in Black and Silver from retail and online partners for $69.00 USD / $89.00 CAD and $99.00 USD / $139.00 CAD, respectively. Spark Blue Cobalt and Spark Wireless Rose Gold will be available mid to late July. Spark Wireless come with three pairs of silicone tips (size S, M, L), a USB cable, a battery clip for sports activities and a rigid carrying case. Included with each pair of Spark are three pairs of silicone tips (size S, M, L) and a rigid carrying case. Sphear S is Focal’s updated version of its first in-ear headphones launched in 2015. Offering hi-fi quality, they come with ultra-large Mylar transducers (10.8mm), one of the biggest of their type, to ensure an extended frequency response in the low end as well as a remarkable tonal balance. Designed to suit all ear shapes and sizes, Sphear S provides noise isolation and ensures an optimal audio experience in complete comfort, even during prolonged listening. Sphear S combines a sleek design, comfort and acoustic quality. Sphear S will be available mid to late July in Black from retail and online partners for $129.00 USD / $179.00 CAD. Sphear S come with three pairs of silicone tips (size S, M, L), three memory foam tips (size S, M, L) and a carrying case. Focal North America was established in June 2015 as a joint venture between French-based manufacturer of Hi-Fi and multimedia products, Focal-JMlab and B&B Electronics Ltd., a distribution company specializing in Automotive, Marine, GPS Telematics and Consumer Electronics products. Based in Alberta, Canada, Focal North America will serve as the exclusive importer and distributor of numerous products including headphones, soundbars, 5.1 home theater systems and numerous products aimed at the custom install market while additional loudspeaker and automotive products will remain under the global Focal-JMlab umbrella for distribution throughout North America. For more information on Focal North America, visit www.focal.com.